Perth Airport, an international airport serving the capital city of Western Australia, is your gateway to idyllic Pacific rimmed beaches, urban street art, and creative food hubs. With an average annual passenger count of 9 million, Perth is the fourth-busiest airport in Australia. The airport offers scheduled flights to over 50 domestic and international destinations. Perth Airport (IATA code: PER) is a major airport for domestic departures, but also serves a number of international departures. Flights to Perth Airport are provided by international airlines such as South African Airways, KLM and Emirates. PER is a 20-minute drive from the centre of Perth. Book your cheap flights to and from Perth Airport online! Perth Airport operates all domestic and international flights arriving and departing from Perth in Western Australia. The airport is comprised of two runways and two separate airports: Perth Domestic Airport houses Terminal 3 and 4, while Perth International Airport houses Terminal 1 and 2. As the fourth-busiest airport in Australia, Perth Airport plays a significant role in the economic, social, and cultural activities of Western Australia. Interestingly, prior to its rise as a hub airport, the airport was a base for the Royal Australian Air Force (RAAF) until the end of World War II. A world of gourmet indulgence and retail therapy awaits at Perth Airport. Feast on tacos at a taqueria; explore the exotic flavours of Asia at a noodle bar; sip on locally crafted beers at a brewhouse; get your caffeine fix at a coffee roastery; search for fruit kissed by the sultry Australian sun at a harvest store; or spoil yourself with an artisanal burger. Whether you are a duty-free enthusiast, luxury watch collector, or designer label die hard, there is something for every kind of shopper at Perth Airport. Shops range from clothing stores, gadget shops, and sunglass huts, to bookstores, toy shops, and convenience stores. Some of the many services at Perth Airport include: foreign exchange, tourist information, printing and copying, and special assistance. A Perth Airport app that offers flight information and a number of online services is available for download. Duty-free shopping is available in Terminal 1 of the international departures and arrivals area. Please take note of baggage restrictions and duty-free allowances at your destination. 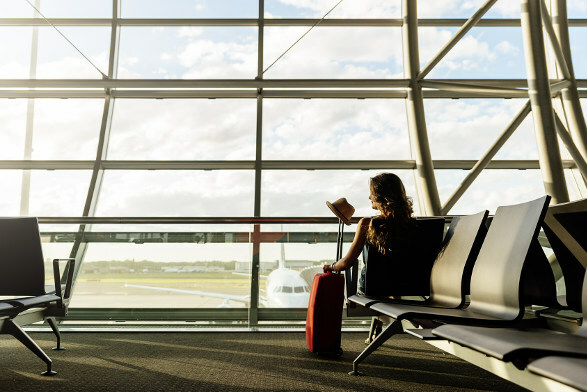 The Perth Airport departures area for T1, T2, and T4 offer several lounges for premium class passengers and eligible lounge members flying with Alliance Airlines, Emirates, Qantas, Singapore Airlines, and Virgin Australia. Each lounge offers a selection of facilities to ensure a comfortable journey. Perth Airport also offers an array of facilities. These include: ATMs, airport shuttle buses, WiFi, baggage storage, children’s play area, first aid room, pharmacy, parenting rooms, post offices, quiet room, smoking areas, telephones, charging stations, and public viewing areas. This homely bed and breakfast is conveniently located 5 minutes from Perth Airport, making it ideal for overnight layovers and business trips. Some of the amenities include air conditioning, housekeeping, and luggage storage. Complimentary Wi-Fi, breakfast, and parking is available. Perfect for short stays, these comfortable apartments are situated just 5 minutes from Perth Airport. Amenities include a swimming pool, room service, conference centre, childcare, a computer station, library, and convenience store. Complimentary Wi-Fi, parking, and breakfast is included. These decadent 4-star apartments are ideally located on the outskirts of Perth Airport. Some of the amenities include a meeting room, laundry service, barbecue grills, 24-hour front desk, garden, airport shuttle bus, and luggage storage. Free Wi-Fi and parking is included. Foreign exchange can be purchased at a foreign exchange outlet up to 60 days before departing South Africa. Other options include purchasing foreign exchange at the airport upon arrival or ordering it online and collecting it when you arrive. Foreign currency can be purchased and collected from Travelex at Perth Airport. Outlets are situated on level 1 and 2 in the departures area, and on the ground floor and level 1 in the arrivals area. Note: to avoid hefty exchange rates and bank surcharges, ordering foreign exchange online and collecting it when you arrive is recommended. Perth Airport offers a number of parking options, including drop-and-go, pick-up, fast track, short-term, long-term, and motorcycle parking. Bus and transfers between the parking areas and terminals are free of charge for all travellers. Payments can be made by cash or credit card (Visa, MasterCard, American Express, and Diners Club). You can save up to 30% on parking by booking online. A free jump start service is available. Perth Airport is located in the heart of Perth, approximately 15 km east of the city centre. A multitude of transport options are available at the airport which will get you where you need to be. Some of these include: Metered taxis, car hire, public bus and Uber.